Excellent little selection of our locally native wildflower ‘Farewell to Spring’. 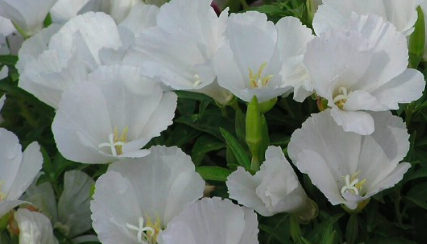 To just 10″ tall this plant(s) become a solid dome of white flowers from May-August. Cute little cut flower. Full sun in rich, to average well drained soil with just light competition from other plants. Re-seeds reliably in open disturbed sites. A great native derivative for hell strips and even containers. Regular summer water – or it will shut down go dormant and think its time to set seed and then make its melon. Rough areas, cut flower. Oregon native plant.